The most successful family vacations keep one essential component in mind: the grown-ups in the group should feel as engaged, as excited, and as happy as the young ones - and vice versa. 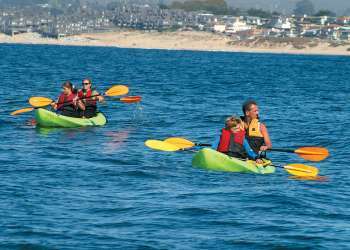 Monterey County&apos;s edu-vacation offerings are all loaded with activities that entertain children as well as the child at heart. Monterey has so many intriguing options it’s best to plan your days out in advance. You wouldn’t want to miss MY Museum, a hands-on experiential and excitement packed place that happens to be adjacent to Dennis the Menace Park (created for the city by the creator of Dennis, Hank Ketcham). There’s the Monterey Mirror Maze, Monterey Zoo, the world-class Monterey Bay Aquarium, and Pebble Beach&apos;s 17-Mile Drive, home to shoreline birds, harbor and elephant seals, and more. You may never hear them say ‘are we there yet?&apos; again - at least until you leave Monterey. 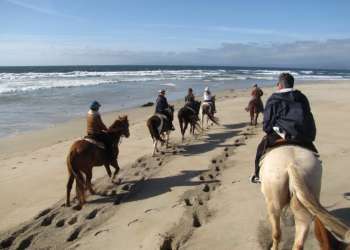 Pack your sunblock because Monterey County has outdoor activities to thrill the whole family. 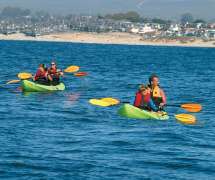 Paddle through Monterey Bay on a kayak tour or take a surrey ride on the Monterey County Coastal Recreation Trail, a segway tour along Cannery Row or a ghost tour trolley ride through Oldtown Monterey. 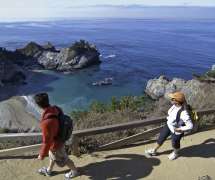 Crank up the adventure with a hike on rugged Big Sur&apos;s trails or a family surfing lesson on Carmel Beach. 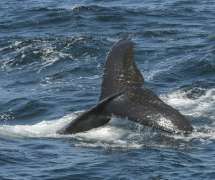 Turn on the full adrenaline kick with a whale watching tour on Monterey Bay or a thrilling motor race at Laguna Seca Raceway. Insert a little culture in to your next trip and browse through a variety of artistic works at the Monterey Museum of Art across from the historic Colton Hall. Children can be reluctant shoppers. To coax a little cooperation, choose a destination that makes browsing as much fun as possible: Cannery Row. The old canneries are now packed with a dazzling array of shops, galleries and places to eat. You can reward patience while you do some bayside wine tasting at the end of Steinbeck Plaza by sampling every known flavor of saltwater taffy, or honor their good humor while you try on sportswear and silver jewelry in the American Tin Cannery with a kite or wind toy. Who knows? You might even pique their curiosity about how the Row got its name: buy them a copy of John Steinbeck&apos;s Cannery Row to read on the way home.